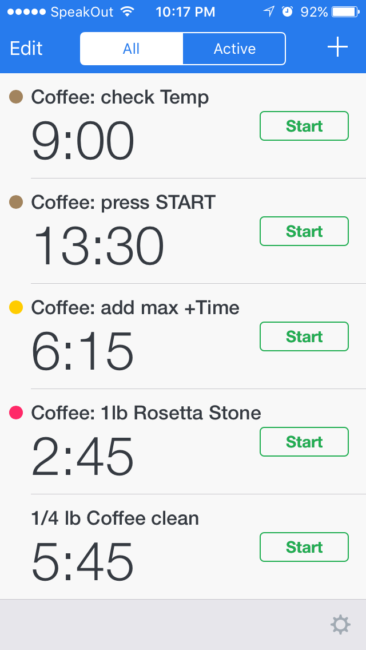 Updated 160621: Added a new section sharing our favourite iOS Timer app and included a Cheat Sheet for quick reference while roasting. Been using the Behmor since 2013 and love that they’ve never left anyone behind with their updates. 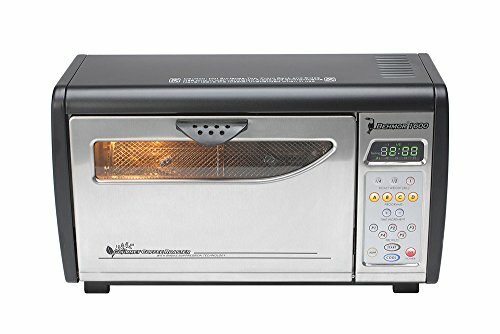 The new Behmor 1600 Plus isn’t without its quirks, but hit the videos below for our tips and tricks to enjoy your very own micro-roasts pronto. From the obvious to obscure, what we use to fulfill our caffeine addiction. Avoid the frustration of under or over-roasted beans by learning from my years of mistakes! Detailed how-to, tips and tricks for successful coffee roasting. PS: sorry for the bad audio levels … my bad! 1. Press the Behmor 1 LB BUTTON, then immediately start Timer 1, Timer 2 and press the Behmor START BUTTON. 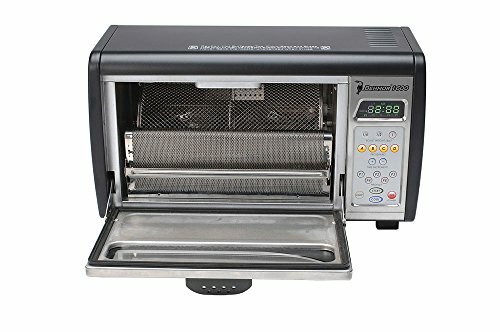 Switch to manual roasting mode by pressing the P5 BUTTON for max power and pressing the D BUTTON to increase drum rotation speed. 2. After Timer 1 goes off, press and hold the B BUTTON to check temperature. If 300F or over, decrease power by pressing BUTTONS P3 or P4. From this time forward periodically check temperature and adjust power as needed to keep temperature ~ 300F. 3. After Timer 2 goes off, you have 30 seconds to press the Behmor START BUTTON to prevent the safety auto-shutoff. Immediately press the Behmor + BUTTON until the maximum time is added (~7 minutes), then immediately start Timer 3. Stick a stainless steel chopstick in the top corner of the door and listen for pops which signify the start of first crack. NOTE: if first crack does not start before the Timer 3 ends, press the Behmor C BUTTON to add 3:10. Immediately start Timer 4 after every press of the C Button and repeat as necessary until the start of First Crack. 4. After 2-3 loud pops confirm the start of First Crack, press the C BUTTON to set the final Behmor roast time to the 1 lb Rosetta Stone time of 3:10 and press the D BUTTON to decrease drum rotation speed. 5. After desired roast is reached (end of first crack; start of second crack etc), press the Behmor COOL BUTTON to start cooling cycle. Optionally Start Time 2 again as a reminder to tend to the cooled roasted coffee beans.